NA'AMAT USA Celebrates "Women Who Enrich Our Hearts and Minds"
Zita Gluskin and Rabbi Nina Feinstein honored at Distinguished Community Leader Award event hosted by NA’AMAT USA’s San Fernando Valley Council, which also raised funds for scholarship program and day care centers damaged by terror fires. 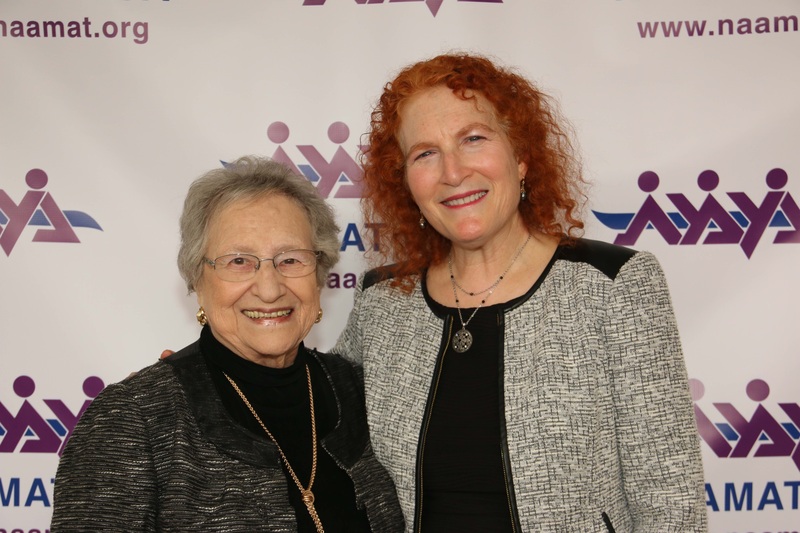 Reseda resident Zita Gluskin and Rabbi Nina Feinstein were honored for lifelong contributions to Jewish communities in the United States and Israel at the Distinguished Community Leader Award Luncheon hosted by the San Fernando Valley Council of NA’AMAT USA. The annual event, which also raised money for day care centers damaged in recent terrorist fires in Israel and for NA’AMAT’s scholarship program, was held on December 11th at American Jewish University in Los Angeles. Maya Kadosh, District Director, Council for Public Diplomacy, for the Consulate General of Israel, Los Angeles presented the keynote address. Special presentations were also made by Scott Abrams, District Director for the Office of Congressman Brad Sherman, and Rabbi Ilana Grinblat, Vice President of Community Engagement for the Board of Rabbis. Rabbi Shai Gluskin offered an introductory tribute to his mother. 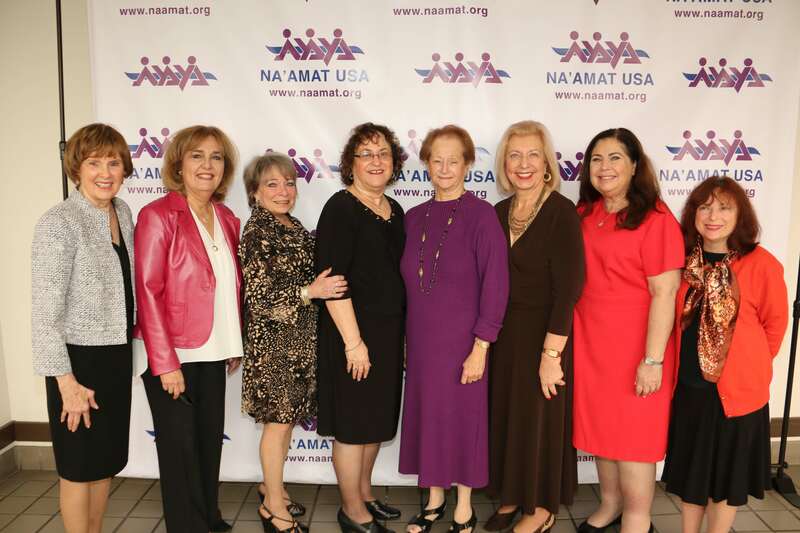 Zita Gluskin was honored for her more than 60 years of work on behalf of NA’AMAT USA, which supports women, children and families in Israel. She is a past president of the San Fernando Valley Council and served as program chairperson for 10 years. Gluskin, who was an LAUSD teacher for 27 years, has been active in many Jewish and community organizations, including the Skirball Cultural Center. Rabbi Nina Feinstein is the principal instructor in liturgy and synagogue practice at the Ziegler Rabbinic School of American Jewish University. She is also the founder of N’Shama Minyan at Valley Beth Shalom, Encino, a popular bi-monthly service for women. In 1986, she became the second woman ordained a conservative rabbi by the Jewish Theological Seminary of America. She has served in other pioneering leadership roles with the Jewish Federation of Greater Dallas, Hillel at University of California, Riverside, and Beit Tshuvah. A tribute to Feinstein was presented by her husband, Rabbi Ed Feinstein. Following a video presentation on NA’AMAT’s scholarship program, national board member Susan Isaacs discussed some of the young women who have been scholarship recipients, including a PhD recipient involved in heart tissue engineering. “The scholarship grant she received from NA’AMAT put less pressure on her financially and she was able to work on her research and achieve her goals,” Isaacs said. The Milken Community High School Choir provided entertainment for the event. Writer and entertainer Art Verity served as master of ceremonies.